Stomach sleeping is the least common sleeping position, and it comes with its own unique challenges and needs. As a result, we get plenty of emails asking about what mattresses are best for stomach sleepers. While there are plenty of decent options available, we’ve highlighted our very top picks for stomach sleepers. These mattresses should give you the support you need when you are in this position. We’ll also tell you what to look for when choosing a stomach sleeping mattress and give you some tips for getting comfortable in this position. Read on to find the right mattress for you. 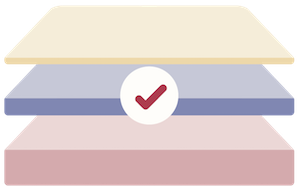 Because of this customization process, you can rest assured that you’re getting a mattress that is tailored to your individual needs. You will be able to get a mattress that has an ideal firmness level for stomach sleeping and that is tailored to your weight and body type. 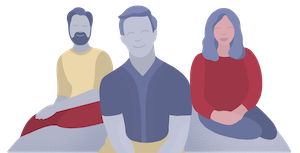 You get a customized mattress based on answers to a customization quiz that you take online. If you are a stomach sleeper, the company can customize a mattress that is most appropriate for your sleeping position. 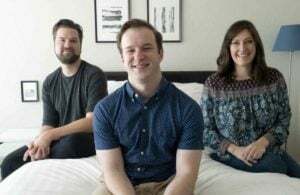 If you sleep with a partner who doesn’t sleep on his or her stomach, you can split the mattress in two and customize each side of the mattress. You can also blend the answers of two quizzes (your and your partner’s) into one mattress. Overall, the mattress is a great choice for couples. 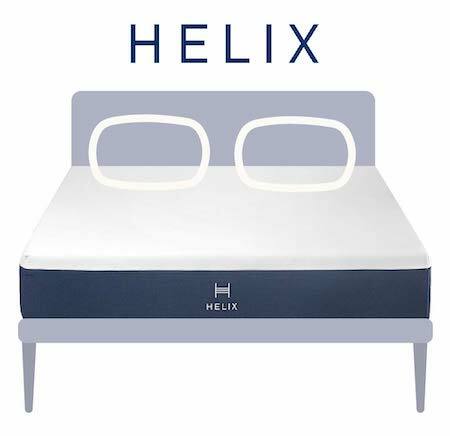 See our full Helix Review here. 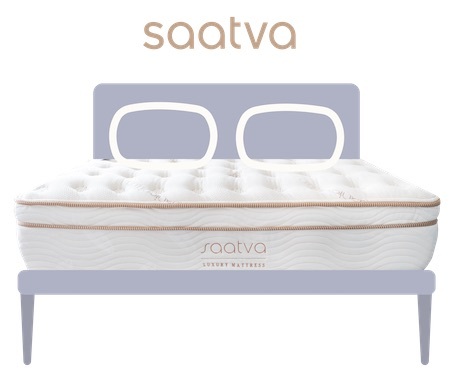 Saatva is an innerspring mattress with a Euro-style pillow-top. We find it to be around a 7 out of 10 on the firmness scale, making it about the ideal firmness for sleeping on your stomach. Overall, it’s a highly supportive mattress that should prevent your back from getting into a curved shape that could lead to pain. It also has a history of good reviews over the past five years, so we think it’s definitely worth taking a look at. It is a high-quality innerspring mattress that would sell for two to three times more if it sold at a retail store (rather than online). The mattress is firmer than average, making it a great candidate for stomach sleepers. 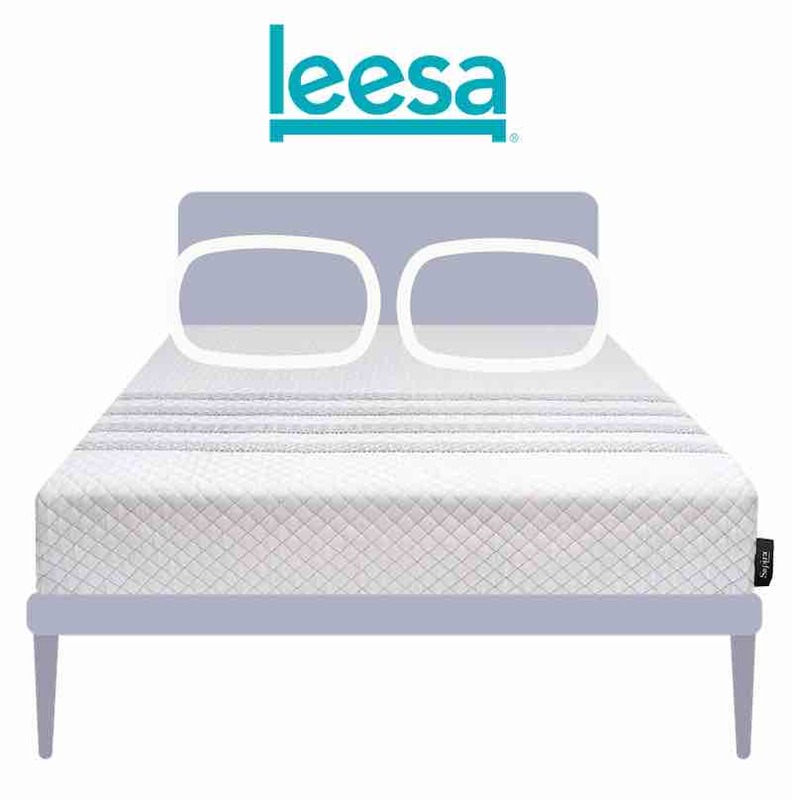 It features a coil on coil construction that makes it a highly supportive mattress overall. The mattress comes with industry-leading customer service. Check out our full Saatva Review here. 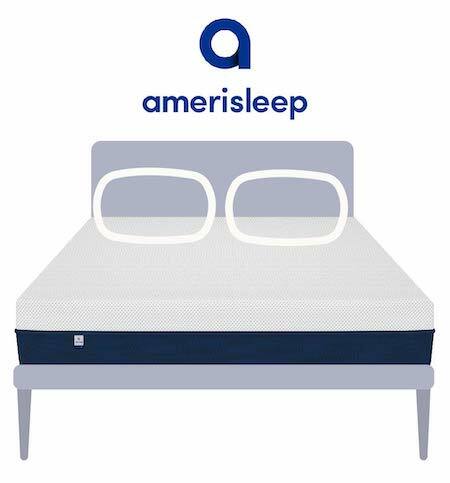 The AS2 mattress from Amerisleep is made specifically for stomach and back sleepers. It is firmer than average, but the memory foam in the comfort layer relieves pressure and makes the sleeping surface comfortable. The mattress also has some extra bells and whistles in it, including the celliant cover, which may promote more restful sleep. Overall it’s a solid choice if you like a memory foam feel and sleep on your stomach. 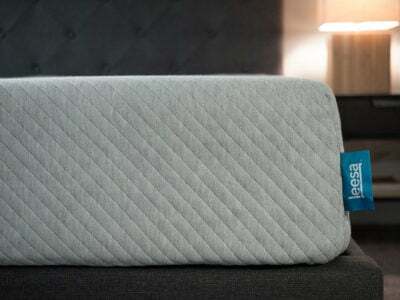 It is a mattress that is specifically designed for stomach and back sleepers. It is much firmer than average, making it ideal for stomach sleepers. It’s not so firm that it will put pressure on your rib cage. It features a celliant cover, which can potentially bring additional health benefits. It is a memory foam mattress that will not sleep hot. See our full Amerisleep Review here. 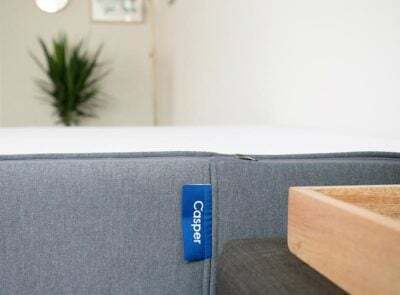 The Sapira mattress is a cool concept because it combines a heavy-duty coil support system with memory foam and performance foam. The end result is a highly supportive mattress that has good pressure relief. You also don’t sink in too much or have the feeling of getting stuck. We found this mattress to be firmer than average, making it ideal for stomach sleeping. It uses quality components, so it should last a long time as well. It has the right firmness level for stomach sleeping. It can support heavier-weight sleepers. It has perhaps the best edge support of any mattress that we’ve ever tested. It is a durable mattress that can make for a great long-term investment. See our full Sapira Review here. There are a few things you should look for when buying a mattress that is catered to stomach sleeping. The firmness of the mattress. The ideal firmness is something firmer than average but not something overly firm. If the mattress is too soft, your body can get into a curved shape. Getting out of alignment like that can lead to back pain, which is something you want to avoid. At the same time, you don’t want your mattress to be so firm that there’s excess pressure on your midsection. You may not be able to get comfortable and you may have trouble breathing properly. Your weight. How much you weigh can affect what type of mattress you should choose. If you are a lighter-weight stomach sleeper, a medium-firm mattress could work. (You don’t need something extra supportive if you are a lighter person.) Heavier-weight stomach sleepers, on the other hand, may require a very firm mattress. They need the extra support to ensure their hips don’t bow into the mattress. Your spinal alignment. One of the main things you should think about (no matter whether you are a side, back, or stomach sleeper) is the neutral alignment of your spine. When sleeping on your stomach, you want to make sure you aren’t sinking into the mattress at your hips. This can cause you to get of alignment, which can cause back pain and disrupt sleep. Your partner. If you share the bed with someone, you should consider their sleeping position when choosing a mattress. Some mattresses have a split design where you and your partner can each choose the proper firmness to fit your needs. You may also need to compromise if your significant other sleeps on their side. There are medium-firm mattresses that could fit both of your needs. The quality of the materials (especially in the comfort layer). If the mattress uses really low-density foams in the comfort layer, it will start to sag over time. Sagging can throw your body out of alignment and lead to back issues, so it’s something you want to avoid. If you sleep on your stomach, how does is it affect your body? Even though this sleeping position may feel comfortable at first, there are a few ways it may be hurting you over the long term. First, it is very difficult to keep your spine in alignment when you are lying on your stomach. Especially on a softer mattress, you run the risk of having your spine bow in at the hips. This can put extra pressure on your muscles, joints, and discs. Over time, this may lead to numbness, tingling, and back pain because the pressure may wear down the cartilage around your joints (so the joints will have less cushion around them). Second, sleeping on your stomach can cause serious neck pain. When you are in this position, it forces your neck to rest at a strange angle. In order to breathe, you need to turn your neck 90 degrees to the left or right. If you are using a thicker pillow, your neck will be angled up, taking your spine further out of alignment. Because of this discomfort, it may make you sleep poorly. You will need to reposition many times throughout the night, and this can cause you to wake up over and over again. That being said, stomach sleeping isn’t all bad. If you snore or suffer from sleep apnea, doctors may suggest you sleep in this position. It can open the airway and allow you to get the proper amount of oxygen. Also, if you deal with indigestion, heartburn, or other stomach issues, lying on your stomach could help with these issues. RELATED: Which Sleep Position Is Best? No matter the potential hazards of sleeping on your stomach, some people are very devoted to this sleeping position. If this is true for you, here are some ways you can sleep comfortably on your stomach while combatting some of the problems that can arise in this position. Sleep without a pillow. Ditching your pillow may go a long way in keeping your spine in alignment. You still need to turn your head to breathe, but your neck won’t be stretched up at an even more awkward angle. Put a pillow under your hips. 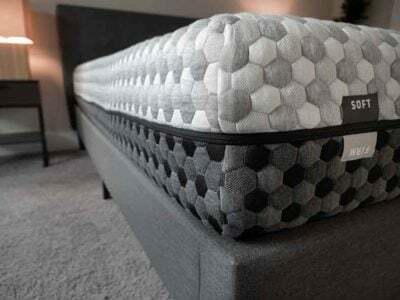 Because sinking hips can be a major cause of discomfort when you sleep on your stomach, putting a small pillow under your hips can ensure your hips don’t bow into the mattress. This also decreases pressure on your lumbar area. Keep your legs down at a natural angle. Stomach sleeping is also known as the “freefall position,” because many people hitch their legs out to the side while lying on their stomachs. But this can cause the spine to get even more misaligned. For better spinal alignment, try to keep your legs down and straight or let them splay out just a bit. If you are going to sleep on your stomach and you still want to use a pillow, there are a few things to look for when choosing an appropriate pillow for stomach sleeping. First, consider the thickness. The thicker the pillow, the more extreme the angle of your neck. Experts say that a pillow under 3″ could give you the soft comfort you need without stretching your neck. Second, consider using an adjustable pillow. Pillows such as the Brentwood Home Helena allow you to manipulate the filling and choose the right thickness for you. As noted above, you can also add a pillow under your hips to maintain proper spinal alignment. Placing a thin pillow under your head and a pillow under your hips could allow you to sleep comfortably and in alignment. If you are a stomach sleeper, it may seem difficult to choose the right mattress. By taking this guide into account, you should be able to identify a good fit for you. There are a lot of great mattress options out there, and there are also ways to ensure you sleep comfortably without pain or misalignment. I have this same problem – but also my arms go numb when I am sleeping on my side. I recently slept on a Tuft & Needle for 2 weeks housesitting and thought it was very comfortable — I had much better sleep and less back pain then on my own mattress (a soft innerspring – I am wondering if it’s because I slept more comfortably on my side and thus didn’t switch onto stomach). I was going to get a T&N but it’s not on any “best of” lists for stomach/side sleepers and seems to be pretty low end, maybe too soft for stomach sleeping? I would like a neutral foam feel with good motion isolation and am looking to spend under $2k and preferably closer to $1k. I am 5’4″ about 200 lbs and tend sleep on my stomach and on my side with a body pillow. I also tend to run hot. Any suggestions? The Purple should be a great choice for you. I dont know if i am a side or stomach sleeper. I cant seem to find a picture that shows my sleeping position. I think Im a “tilt” sleeper? My leg that rests on the mattress is straight but my other leg is bent (so my legs look a 4) and i use my knee to support my sleeping position. So i seem to sleep in a 45 degree angle. Need help figuring out my sleeping position and what mattress i should get? 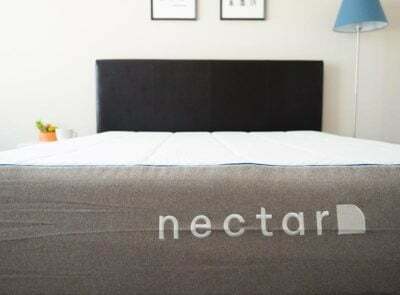 I recently got a nectar mattress. I’ve had it a week and it is killing my back. I am a 300 lb stomach sleeper. What is the best one you reccomend since I’m going to need to return the nectar as soon as I make a replacement decision. I recently requested a recommendation for a mattress that would be best for a stomach sleeper who also is a side sleeper. I try to sleep on my sides but always end up on my tummy then awake with a painful low back. I currently have a Stearns & Foster Villa Belluna that is 12 years old. Try the Tomorrow Sleep Medium Firm.